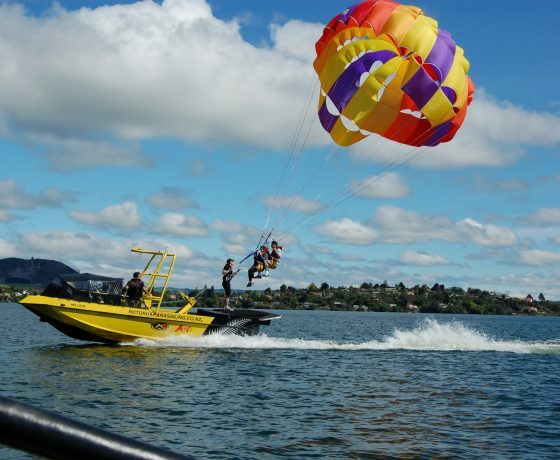 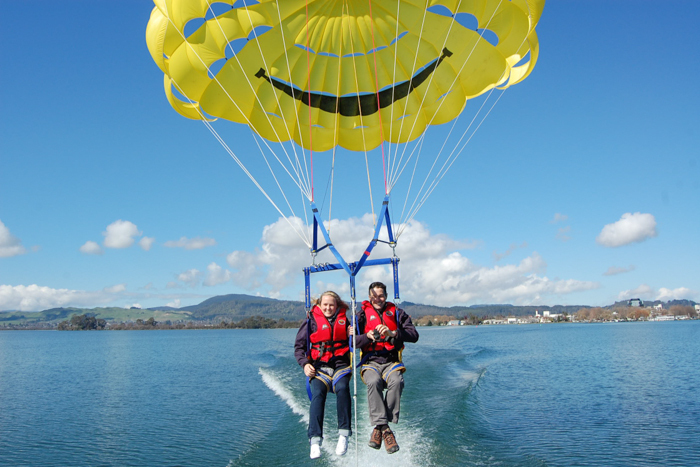 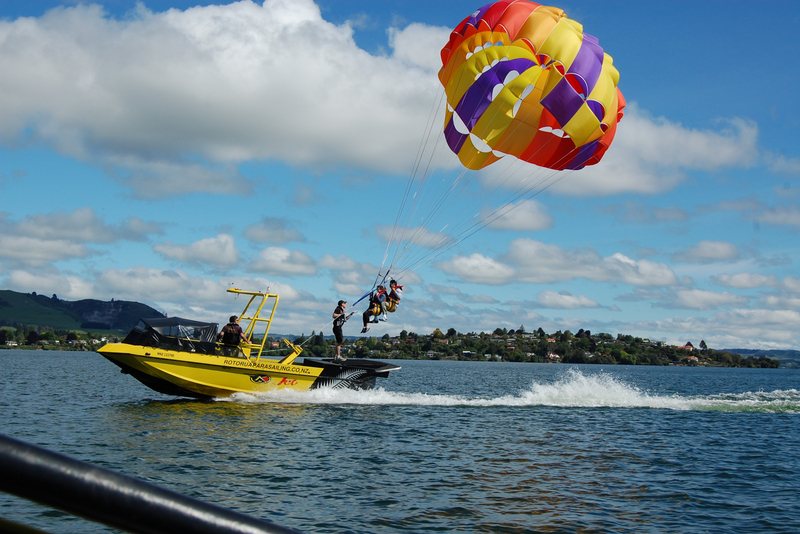 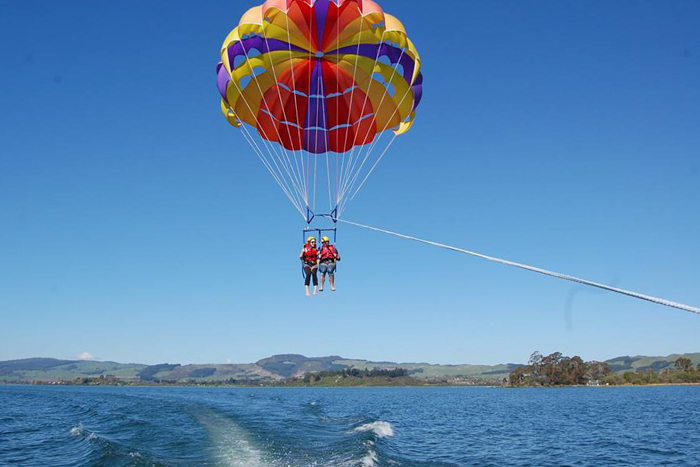 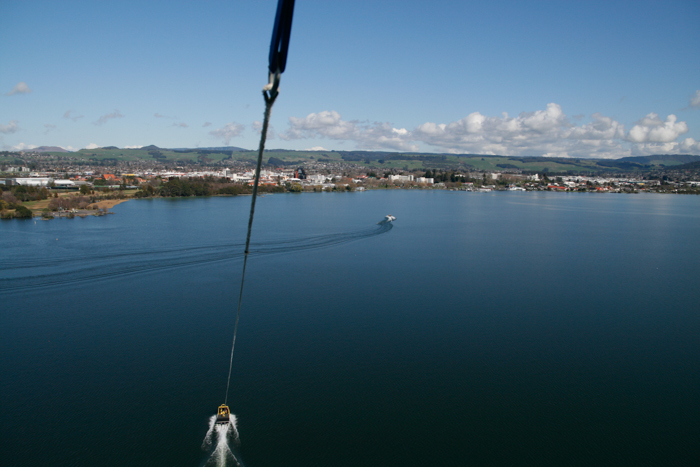 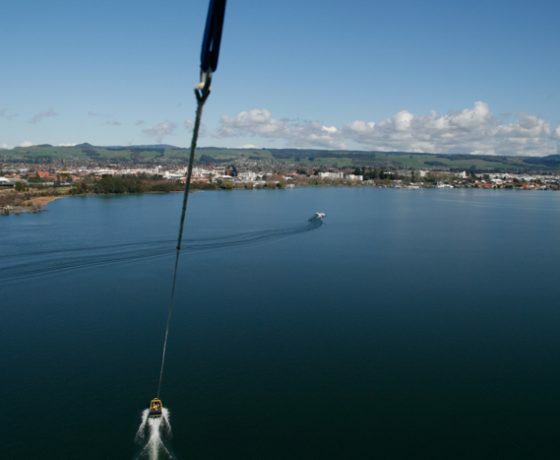 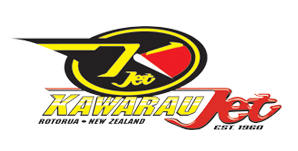 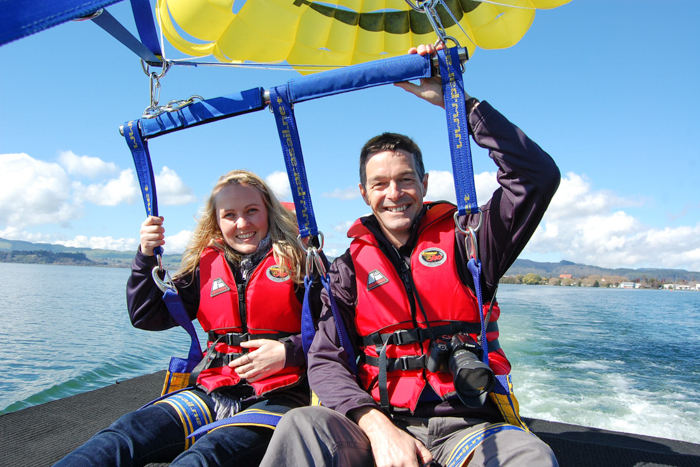 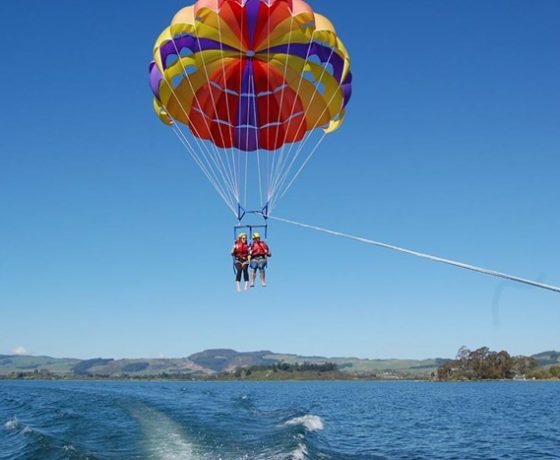 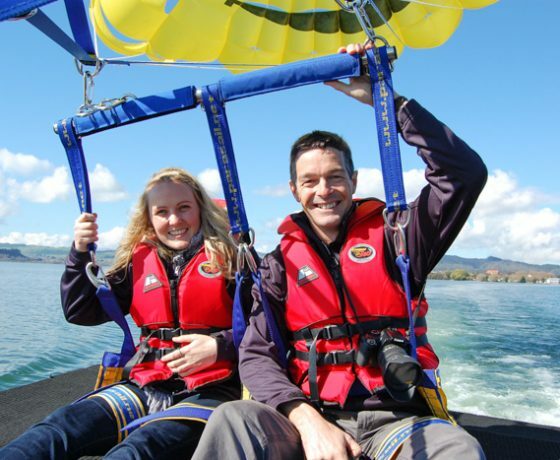 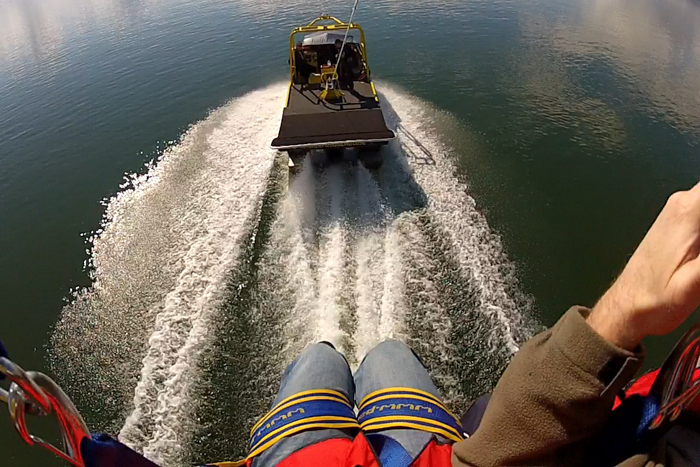 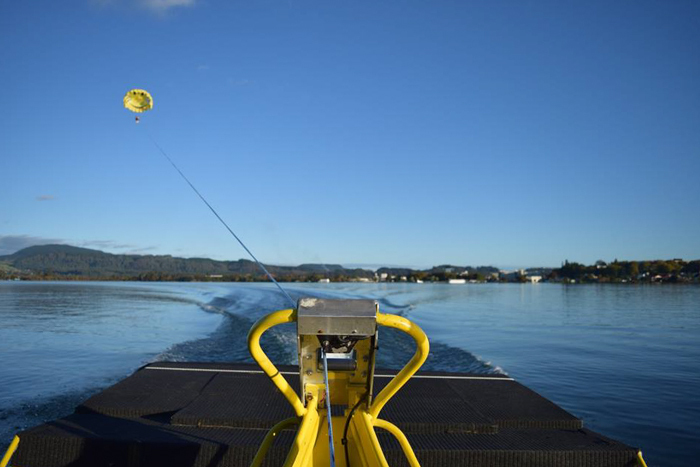 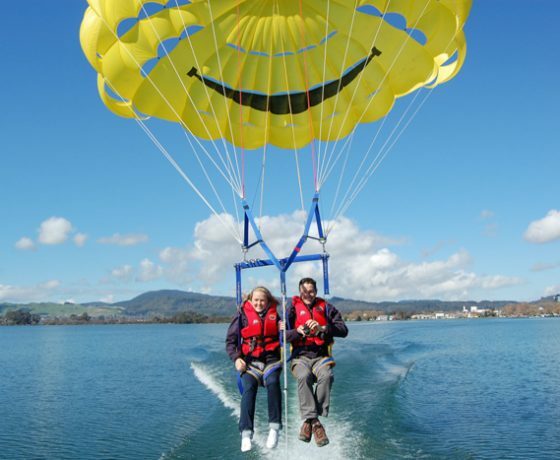 Kawarau Jet Boat Parasailing on Lake Rotorua, New Zealand. 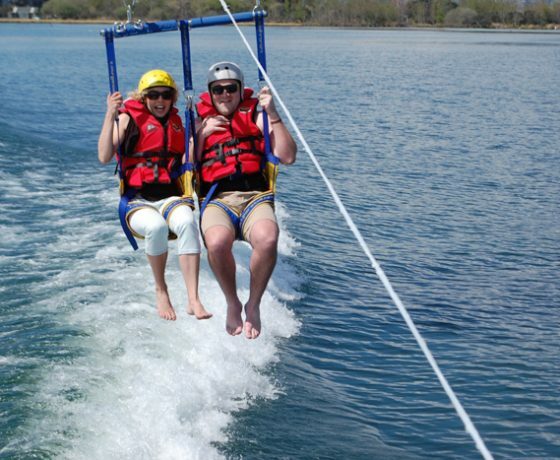 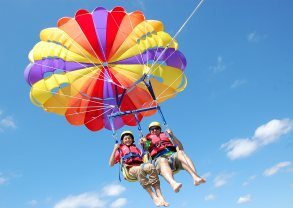 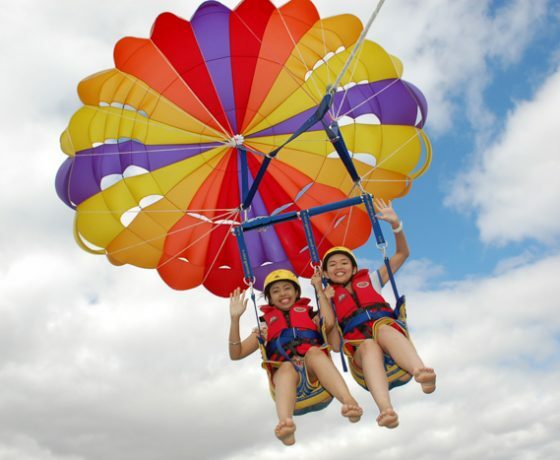 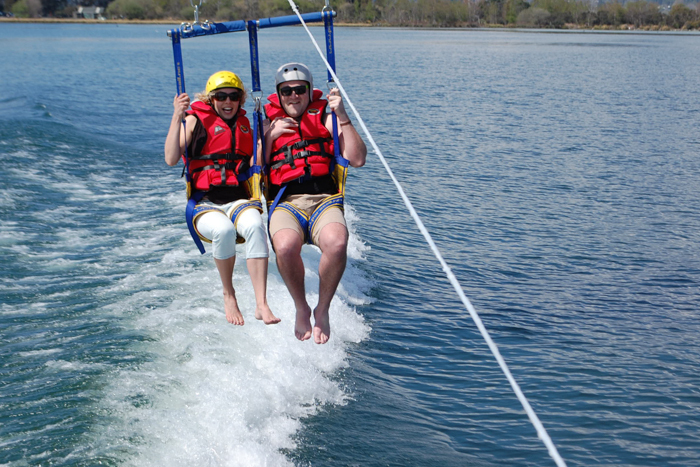 Parasailing is an airborne adventure that absolute beginners can enjoy without having to be strapped to an instructor.Launching from the flight deck of our 26 foot, purpose-built parasail vessel, you will enjoy approximately 12 minutes of exhilarating flight time as your sour through the air like a bird. 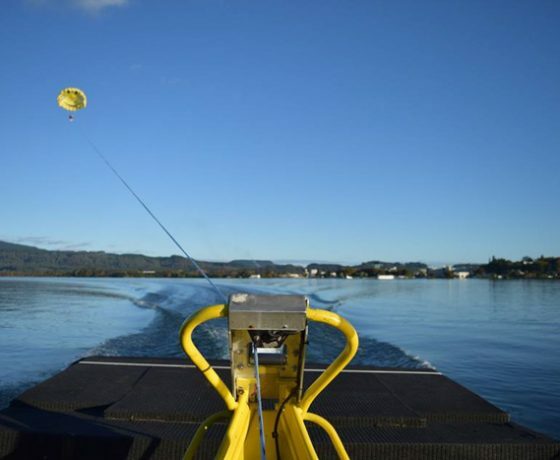 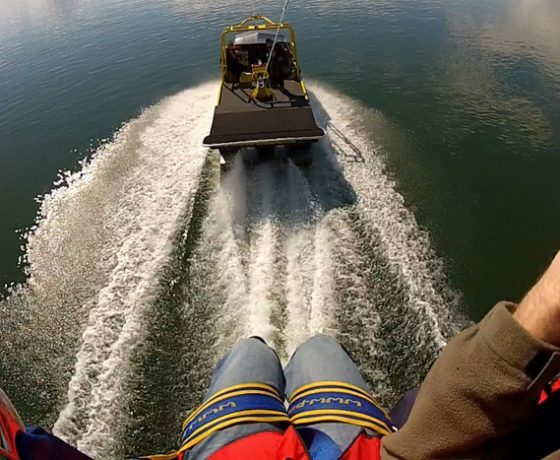 You will take off and land directly from the boat, so no water contact is necessary and no previous experience is required. 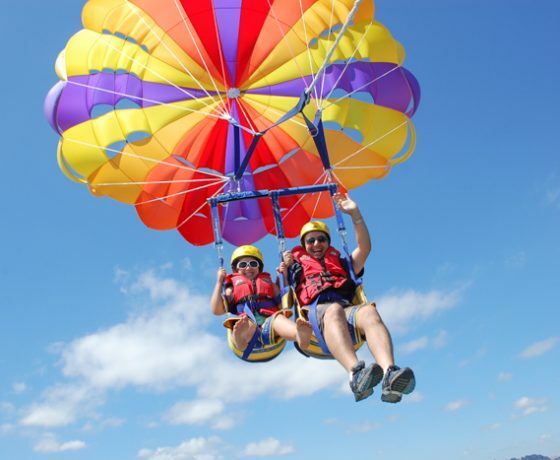 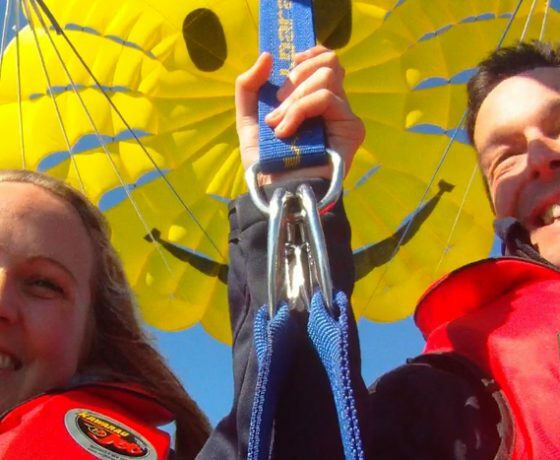 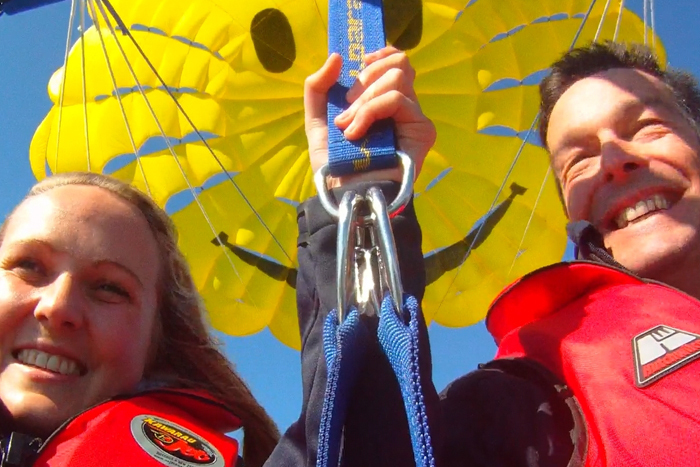 Book a solo or tandem flight with KJet Parasailing and discover why this is one of the areas most popular adventure activities. 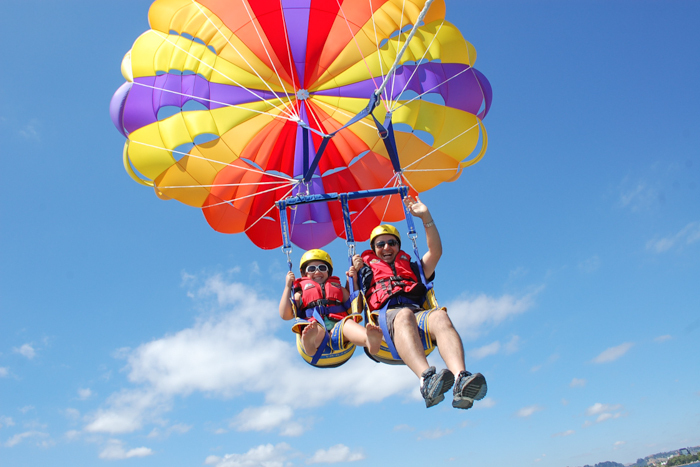 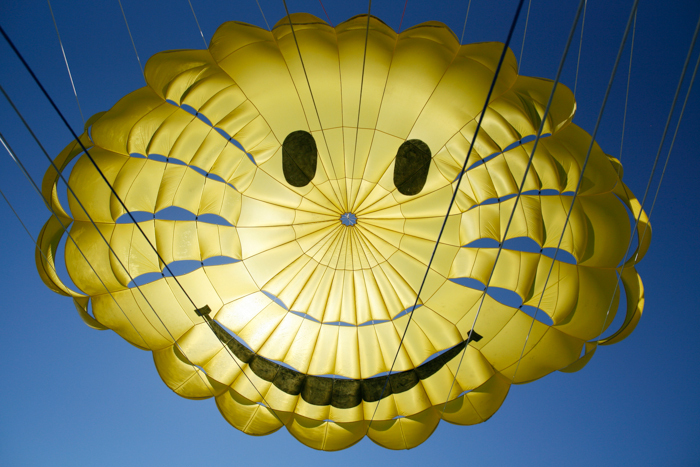 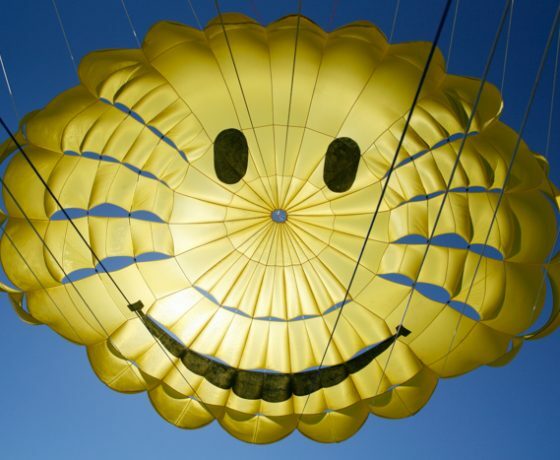 Parasailing is weather dependent so please phone the KJet office on flight day to ensure we are “go for launch”. 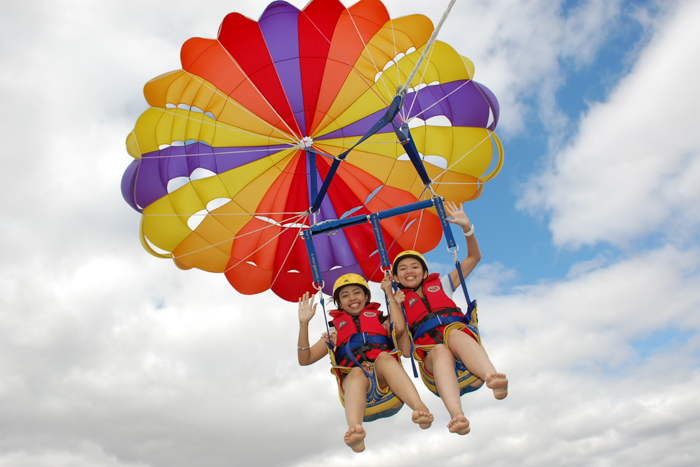 safe and enjoyable experience that will exceed expectations.